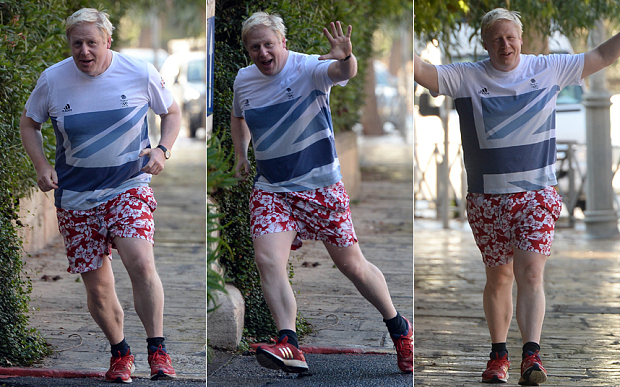 Boris Johnson has run away screaming like a little girl, it has been confirmed. The former London mayor was supposed to run for the Tory Party leadership but opted to take flight instead after a man with glasses shouted “Boo!” at him. The bespectacled man had apparently promised not to shout “Boo!” at Mr Johnson on multiple occasions. The assembled crowd were left stunned after a clearly-frightened Mr Johnson abandoned the stage and sprinted for the exit. The man in glasses is going to run for Tory Party leader instead now. His manifesto launch poster consists of his face with the word “Boo!” underneath in bold letters.